I was asked to talk about concealers. Admittedly, I am not a concealer junkie. I try my best to work with my flaws than to hide them. But of course, light-to-medium coverage is still advisable. So let's talk. Why should you use concealers? From the name itself, concealers help hide skin imperfections like dark circles, pimples, bruises, soreness and even uneven skin tone. 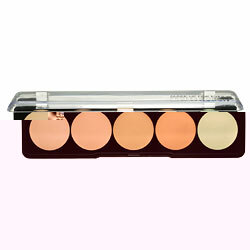 Concealers are also used for better coverage and blending of make-up base, primer or foundation. Personally, I prefer using concealer before applying foundation when I'm using powder foundation and otherwise when using liquid. Based on my experience, cream concealers are a so much easier to blend after using a BB cream--hence my BB cream fixation. Anyway, I shared the photo above because I want to insert a short rave moment about the concealer I used in doing the look I did for this post. Vitamin-enriched make-up are great because instead of damaging the skin, it helps nourish it. But make-up is still make-up okay, so at the end of the day, don't forget to clean up! 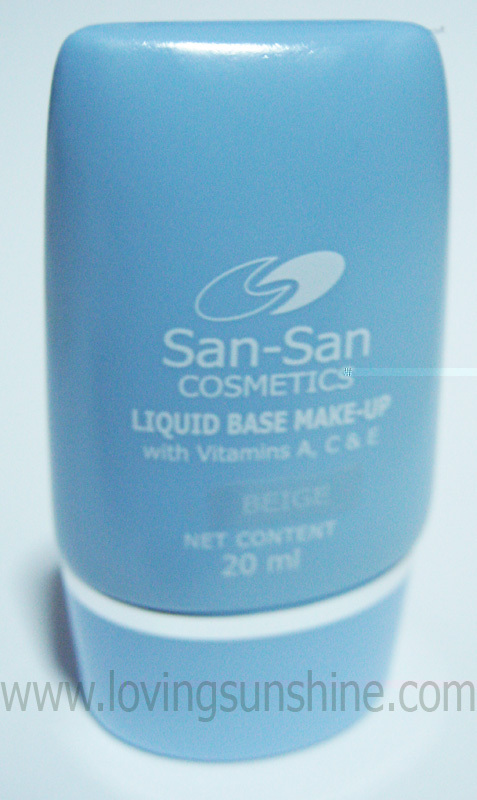 In the photo above I used San San Age Defense Concealer in 01. It is the yellowest yellow concealer I've ever tried, so at first I was hesitant about it. However, what pow it had over my other concealers is it's skin-loving formulation. 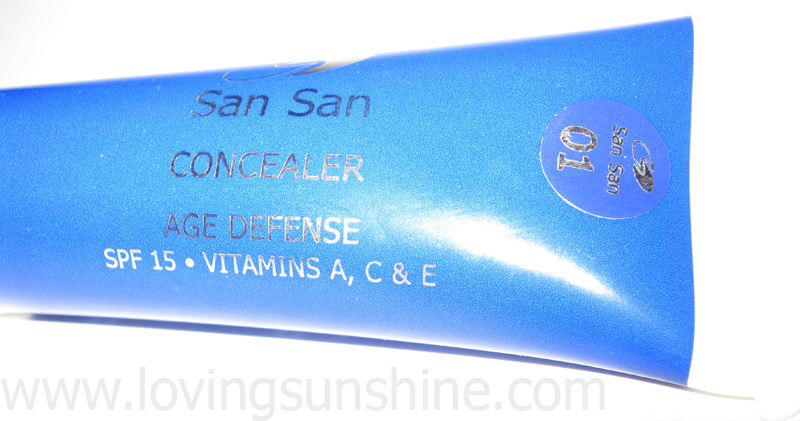 Not only does it has SPF15, it also has Vitamins A, C and E!! Pretty great huh? As you can see, the concealer gave a pretty good performance in perfecting my problem areas: dark circles and soreness at the sides of the nose. What color of concealer should you use? Concealers come in various shades to fit different skin tones, yes, but other than shades they also come in different hues: yellow, lavender and green. Yellow: use yellow concealers to hide imperfections like dark circles, light bruises and minor redness on the skin. 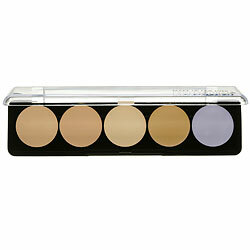 Yellow concealers are most commonly used and comes in different shades. Try to find one that is a shade lighter than your skin tone so you can easily conceal those skin imperfections. Lavender: use lavender concealers to hide yellowish imperfections like that of scars and bruises. I hope none of you would ever need to use a lavender concealer especially on the face cause I would find it difficult to imagine what happened why you ended up bruised like that. Please be careful everyone. Green: green is my favorite color, and I'm happy I don't need green concealers! :) You may use green concealers to hide pimples, especially the sore ones. Targeted to neutralize the redness of the skin, green concealers are great to be used prior a yellow concealer for fuller coverage. How to use a concealer? ﻿Concealers can be pretty tricky to use. They can be cakey and if worse comes to worst, they can emphasize your flaws instead of hiding them! I prefer concealers that come in a tube compared to concealers that come in a pot. Liquid concealers like ELF Tone Correcting Concealer is a favorite too. 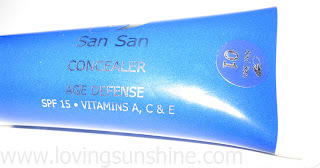 I use it on days when I don't need coverage that bad. It comes with a wand that helps me limit the concealer I put on. Concealers should always be used sparingly. Less is more, as they say, applies best in using concealers. You may opt to use concealer brushes in applying concealers especially for areas that require precision, like applying concealers up to the corner of your eyes. Personally I warm up the concealer on my skin first (so it's easier to spread and blend... best to do this if you're using concealers from a palette as they're usually harder to spread and blend than concealers that are tubed), so I use my fingers. then I use a brush to more properly blend and spread out the product on my face. 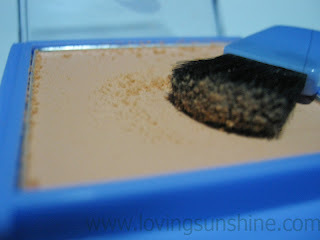 Then, I use a latex sponge to remove brush marks. It is best to start off with flawless skin before using dark shades on the eyes. That's the best reason why you should start practicing with your concealer now, so you can sport smoldering smokey eyes this season of parties too! 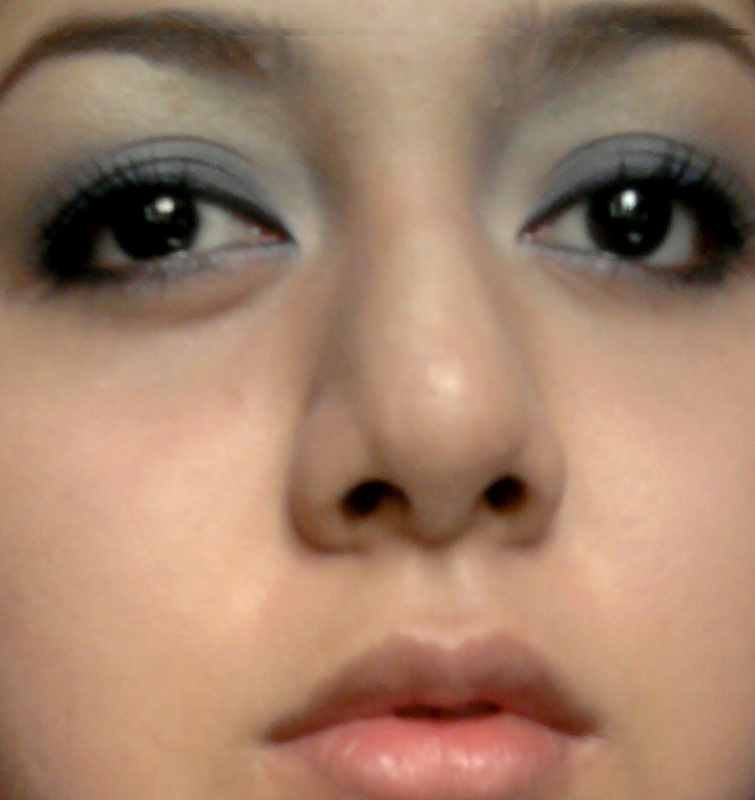 For the eyes: am using dark blue shades from my Dollface Avant-Garde eyeshadow palette. For the make-up base: am using San San Liquid Base Make-Up in Beige, it is the perfect partner for the concealer I featured above. For the lips: am using San San Lipstick 01. No setting powder. Work day tom, let's do this! See, I told you! Having almost perfect skin within the budget is easy! Please click the hug box! I used to love their compact foundations. I don't know why i stop using it. Bakit nga ba? Oh well, maybe because i preferred powders found in malls. The lipstick looks great on you. 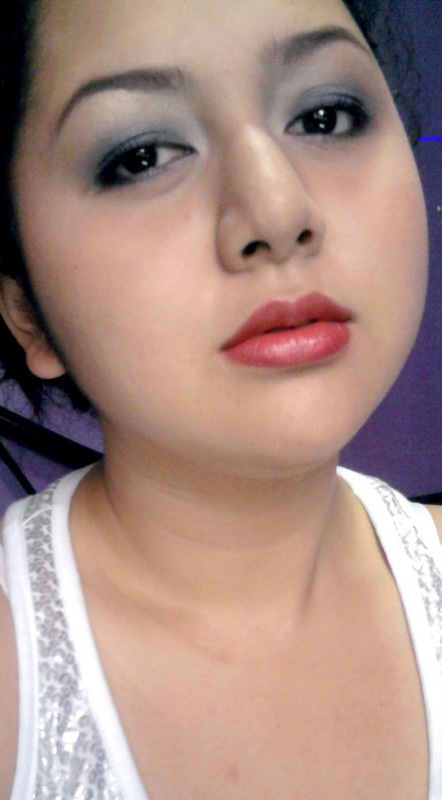 i wish i could wear red lipstick too.